OTISFIELD — Residents will vote on a $1.79 million municipal budget at the annual town meeting on Saturday, June 24. The meeting will begin at 9 a.m. at the Otisfield Community Hall, 292 Oxford Road. The proposed 2017-18 budget is about $21,193, or 1.25 percent, more than the previous year, according to Administrative Assistant Anne Pastore. It does not include the county tax or Otisfield’s portion of the School Administrative District 17 budget. 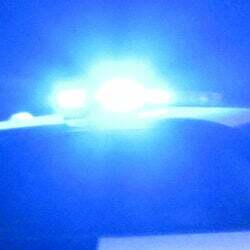 The town’s Public Safety budget increased from $147,046 to $172,065, which Selectman Hal Ferguson attributed to the Otisfield Fire Department receiving more calls this year compared to last year. 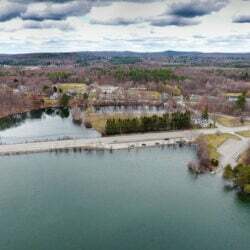 The Virtual Town Hall Web Site line item, located within the town’s Contractual Services budget, will increase from $1,950 to $4,500, Pastore said. “The website hasn’t been updated in 12 or 13 years, and we need to bring it up to speed,” Pastore said. “We’re going to be bringing it up to current times,” Ferguson said. 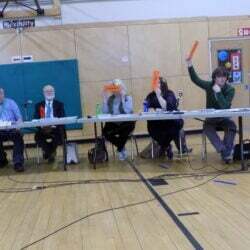 Pastore said that an article asking residents if they wish to approve a sign ordinance will be withdrawn from the town meeting warrant, after a joint vote by the Planning Board and Ordinance and Policy Review Committee. The sign ordinance, drafted by the Ordinance and Policy Review Committee, had some issues that needed to be ironed out, she said. “Both the Planning Board and the Ordinance and Policy Review Committee agreed to work on the ordinance this winter,” Pastore said. Residents will also vote on whether to approve spending up to $25,000 on installing an electronic sign in front of the Town Office. Selectman Rick Micklon said in January he has been a proponent of an electronic sign to provide information to residents. He said Neokraft Signs Inc. of Lewiston proposed a black and white model for $21,859. 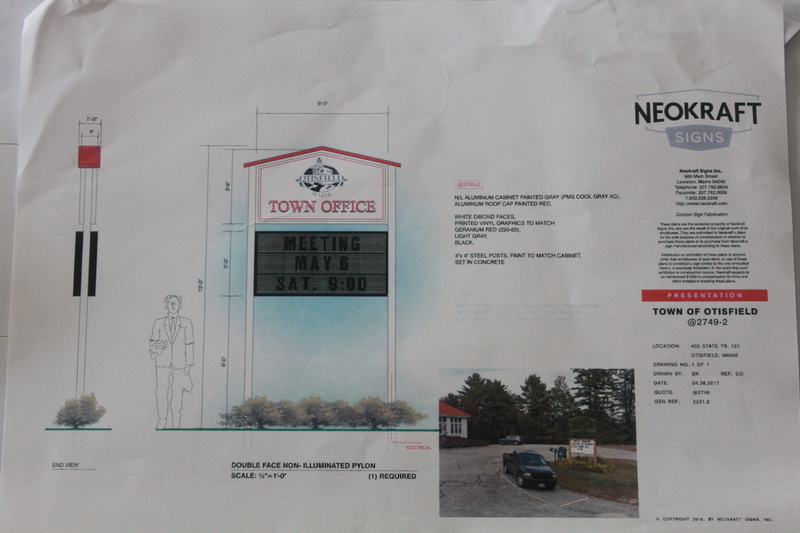 A flier distributed in May by Selectman Rick Micklon that shows a photograph of Neokraft Signs Inc. of Lewiston’s proposal for an electronic sign.